What's the Best Wedding Location on Sydney's Northern Beaches? If you are starting to plan your wedding, one of the major decisions you need to make is where to hold the ceremony and reception. More and more brides and grooms are choosing casual weddings at the beach rather than in a traditional church. With so many beautiful spots to choose from, it can be a daunting task. And this is where the expertise of a local marriage celebrant can come in handy. Jan Littlejohn of Ceremonies with Style is one of Sydney's most popular marriage celebrants and has performed over 800 weddings, including that of the well-known newsreader Sandra Sully. Jan has won many awards for her services as she is injects the right amount of humour, warmth and grace into each wedding. One of Sydney's hidden treasures, Clontarf Beach & Reserve is a popular wedding location with its breathtaking views of Middle Harbour and facing the Spit Bridge. It has a reception venue, Clonny's Restaurant, which is suitable for smaller weddings. One of the most popular locations for weddings is Shelly Beach. 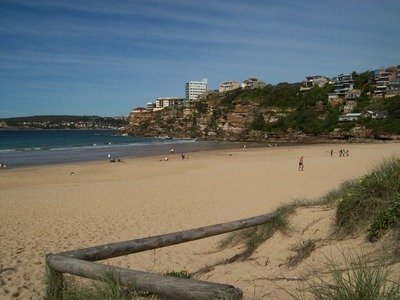 It is located on a headland that faces west back towards Manly's ocean beach. 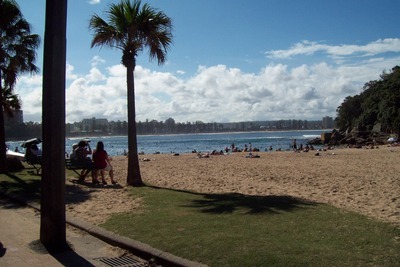 With plenty of large trees providing shade during hot summer months, there is a grassy area, which leads onto the beach. Consider holding your wedding reception at Le Kiosk, which offers superb Modern Australian cuisine and exceptional seafood. Palm Beach stretches along the most northern part of Sydney and has many spectacular spots for your ceremony. Whether you prefer a beach or a park for your wedding, you won't be disappointed. Dune's at Palm Beach and Jonah's Restaurant and Accommodation are two popular wedding reception venues. 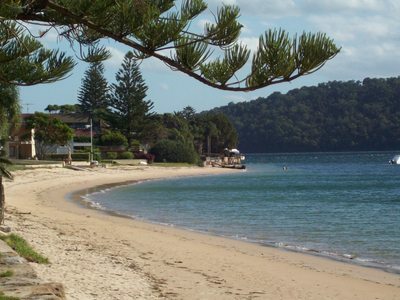 Balmoral Beach offers many amazing locations to hold your wedding. The end of the Rock Island offers views overlooking the harbour or on the south west side, views over Balmoral Beach. You can also choose to hold your wedding at the beautiful Rotunda. The Bathers Pavillion is the perfect choice for a reception as it has a great outdoor balcony. 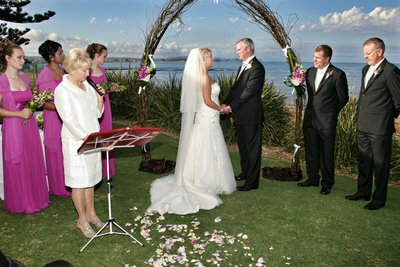 Your wedding can either be held right on the beach, at McKillop Park, which is situated on the headland between Freshwater and South Curl Curl Beaches and offers views up and down the coast or at Freshwater garden near Duke's statue. Your reception can then follow at Harbord Diggers or the stunning Pilu restaurant. No matter which Freshwater location you choose you are guaranteed unbelievable ocean views. One of Sydney's best known beaches, Manly sees many weddings each year. Its stunning scenery, large number of wedding reception venues and easy access all contribute to its popularity. 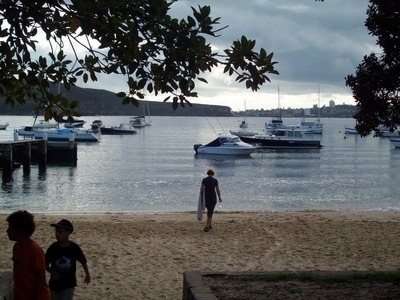 You have many choices in Manly – Manly Cove, Manly Point, Manly Ocean Beach to name just a few. For your wedding reception, you can choose from Q Station – picturesque grassy slopes of North Head, the traditional old wordly building of International College of Management or the stunning Novotel Sydney Manly Pacific. The decision is yours - but no matter which location you choose on Sydney's northern beaches you can't go wrong. Sparkling blue ocean and pristine beaches are sure to add that extra sparkle to your wedding. So which location will you choose for your special day? Terrey Hills Golf & Country Club is beautiful. It's so elegant and the views across the golf course were amazing. They ceremonies here on the gardens are gorgeous and the Clubhouse ballroom is grand. Even though it's a private, member only Country Club, weddings for all are permitted here, so it's a little treasure that captures the sophisticated and timeless grace of the world best Country Clubs, that never goes out of style. My husband and I got married in a function space just above Manly Wine at Manly Beach. They have a lovely outdoor deck overlooking the beach and a beautiful space for private dining. The weather was perfect for our April wedding, but I loved knowing that we had an immediate 'back up' plan for bad weather...and the fact no one had to walk around on the sand in their wedding attire. The food, drinks and service were excellent and pricing was very competitive compared to similar venues.